Can Late Late' Bloomer and ex-Daily Show host Craig Kilborn replace Tom Snyder? (Tom who?) Improve CBS' late-night numbers? No doubt. Challenge Conan's ratings? That is the question. 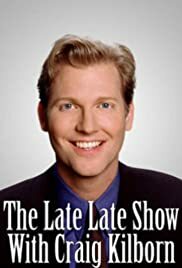 Panic on the set of The Late Late Show: Craig Kilborn is having a bad hair day. And just three weeks before his much-hyped replacement of former host Tom Snyder, the notoriously meticulous Kilborn is not suffering imperfection (grooming or otherwise) gladly--even during a rehearsal. Encouraging words are offered; the network is thrilled with what it's seen so far. "I don't care what they think," mutters Kilborn, "it's what I think. I don't want to wing this." A rather animated exchange for the usually unflappable Kilborn, 36, who cut his teeth anchoring two of cable's snarkiest talkers: ESPN's SportsCenter and Comedy Central's The Daily Show. But for all the loose, wry repartee on camera, the 6'5" blue-eyed blond is wrapped tighter than a mummy when he's off. "Craig is a complicated guy," says Daily Show co-creator Madeleine Smithberg. "I used to call him a TV savant. It's almost as if he comes to life on camera. Everything else is in the shadow of his TV persona." Indeed, delivering a smarmy version of "Looks Like We Made It" by the piano on the show's new pseudo-den set (complete with functional bar--"We'll break some FCC rules," Kilborn promises), he visibly relaxes; he's a Mister Rogers for the after-dark crowd, having a Scotch and cracking wise about the neighborhood. The irreverent Kilborn may seem an odd choice for the determinedly square Eye network ("He's hipper than CBS," admits its TV CEO Leslie Moonves), but really, what's the net got to lose? For four seasons now, its late-night ratings have trailed behind NBC's. Kilborn is certainly a better fit with lead-in David Letterman than the leaden Snyder was. And Late Night With Conan O'Brien proves there's a demographic (young men 18 to 34) eager to stay up late with a sarcastic white guy. The question is, will any of them be eager to flip? Kilborn diplomatically addresses the upcoming battle: "Conan's got a five-year start," he reasons. Kilborn adds that he'll be able to deliver "as long as expectations are low." If Kilborn's cautious, you can't blame him. He's reticent by nature; a true Midwestern WASP, brought up in Hastings, Minn., he guards his past, revealing little beyond a lifelong desire to be a talk-show host (as a kid, he'd record monologues that his insurance agent dad would critique) and a lackluster basketball career at Montana State University ("I was a slow white player, and I still am," he says). But he's also been burned by the press, not to mention by his own occasional candor. He recently admitted to having an 11-year-old son--but only after a tabloid threatened to break the news first. And he spent most of '98 apologizing for a crack he made in Esquire about Daily Show co-creator Lizz Winstead (that she'd Monica Lewinsky him if he asked). The remark got Kilborn suspended; Winstead quit. "I made a mistake," he says. "It was a bad joke--and there will be plenty more of those when the show starts." Clearly, there are still hard feelings. "The Daily Show was obviously a great platform," he says, "but from day one I wanted to leave." He frequently bickered with the show's writers over his role, pretty much limited to making fun of the day's headlines. And he continues to fume over accusations that he didn't write much of his material, though he won't discuss it: "It's almost gossipy. And who the hell cares? Let my work speak for itself." Or listen to Rob Burnett, CEO of Worldwide Pants, producer of Late Late: "We knew we were getting someone very comfortable on camera. What we didn't expect was a guy with a million ideas." What's certainly true is that The Daily Show has suffered since his departure. Despite the auspicious first-week ratings of his successor, Jon Stewart, Kilborn attracted a younger, more male audience. If he can do the same for Late Late, plenty of CBS execs will be willing to get down on their knees and, uh, thank him.